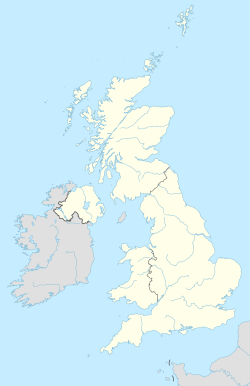 The DN postcode area, also known as the Doncaster postcode area, is a group of 32 postcode districts in England, which are subdivisions of 13 post towns. These postcode districts cover eastern South Yorkshire (including Doncaster), north Lincolnshire (including Grimsby, Scunthorpe, Barnetby, Barrow upon Humber, Barton-upon-Humber, Brigg, Cleethorpes, Gainsborough, Immingham and Ulceby), small parts of Nottinghamshire (including Retford) and the East Riding of Yorkshire (including Goole), and a very small part of North Yorkshire. The S64 postcode district for Mexborough was originally earmarked as DN13, which has never been used. Otherwise, the area's districts are numbered sequentially up to DN22, then from DN31 to DN41 for the eastern spur of the area, in and around Grimsby. There is one non-geographic district, DN55, which has a single purpose use to Royal Mail. DN postcode area map, showing postcode districts in red and post towns in grey text, with links to nearby HU, LN, LS, NG, S, WF and YO postcode areas. ^ Linda, Rosencrance (1 June 2000). "UK Postal Service Launches Online Mail Service". Computerworld Australia. IDG Communications. Retrieved 4 February 2012. ^ Royal Mail (18 July 2011). "Non-geographic codes" (PDF). p. 2. Retrieved 4 February 2012.